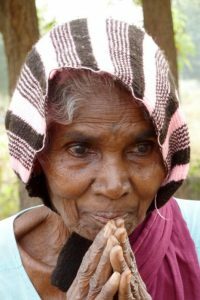 In the year 2000, Fr Sarves a priest from the diocese of Kadapa, Andhra Pradesh in the South East of India, asked for help to feed and house some of the poorest people in his rural area. Mary Skaag from Coventry and Fr Jeff Dodds, responded by buying land and initially building accommodation blocks, a kitchen and a medical block. 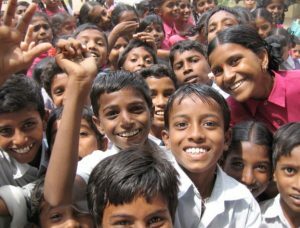 Over the years money has been raised and with prayerful support from parishioners in the North East and the midlands, the India Project has gone from strength to strength. 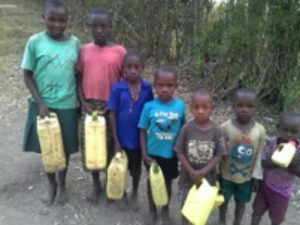 Local people now have clean water, the sick are offered medical aid, the elderly are given purpose and the will to live. Children are given excellent education and young teenage girls are taught how to sew and make a living for themselves and their families. Stockton parishioners together with those from other parts of the Diocese of Hexham & Newcastle, now support this important ongoing relief project. The initial dream for the project continues to be realised – the poor and orphaned children who are now educated as nurses, pharmacists, teachers and farmers, are now supporting those living at Balamma Satram. Fr. Vincent, a White Father, first came to Stockton in August 2005 when he was working in the North of Ghana. He spent 3 weeks working in our area and has returned every 3 years since. We raised money to buy a second hand pickup truck which was a great asset in such a remote area. Enough funds were raised to build two small schools. The final fundraising for Ghana was the cost of drilling a well to provide clean water in a village. In September 2014 Fr. Vincent was sent to work in Uganda where he looks after one of the Shrines of the Ugandan Martyrs and also many scattered villages in the bush. The Uganda Mission fund provided money to buy him a good second-hand truck. Refugees from South Sudan and surrounding countries constantly come to the Mission for help. They are given food, allowed to rest and simple first aid is given before Father takes them to a refugee camp. He also takes any sick people to hospital. Fr. Vincent believes education is vital if refugee children are to have a better life. He will use money from the Mission Fund to pay school fees, buy books, mattresses, blankets, and food as well as provide necessary medicines. During his visit to Uganda in November 2015 Pope Francis stopped briefly at Fr. Vincent’s Mission.